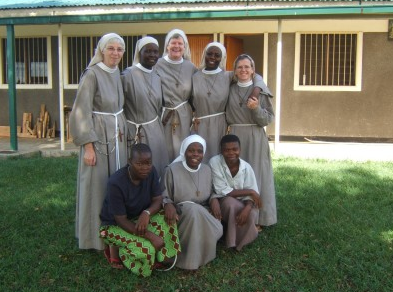 St. Patrick's Parish set up links with the Poor Clare's Myanga Missions nearly ten years ago. Since then both the parish and the school have been fully committed to raising funds to support the school and wider community in Myanga. 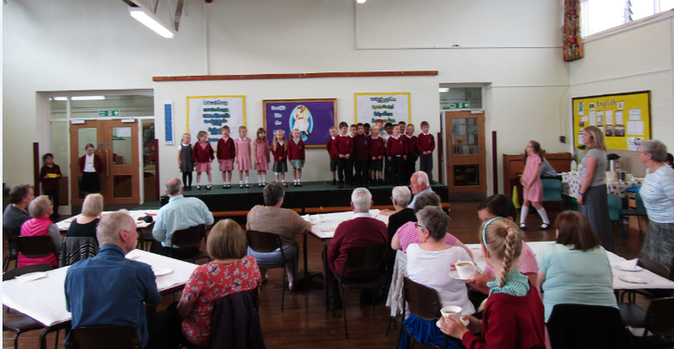 The KS2 Choir is involved with performances in church every year to raise money for parish projects and the Mini Vinnies are often busy organising events with Mrs Kendrick. These links are crucial to the amazing work that goes on via the Poor Clares sisters and also are an invaluable insight for the children at St Patrick's also. We hope that our partnership both raises awareness of inequalities across the world and also fosters global friendships. 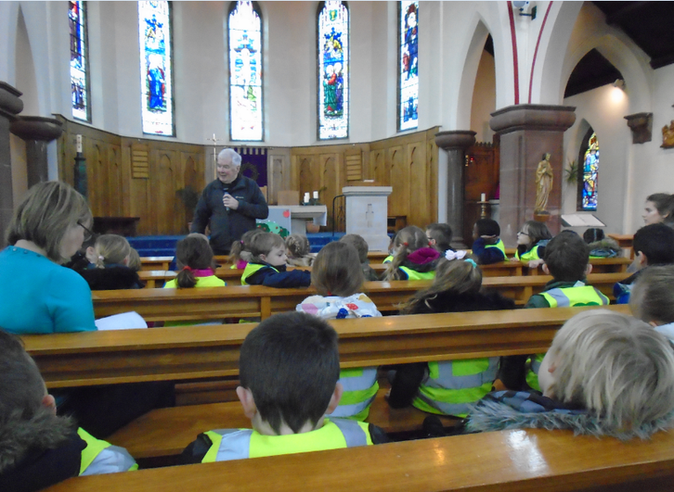 St Patrick's Mini Vinnies are the junior wing of the St Patrick's Parish St. Vincent De Paul's Society. They are lead by Mrs. Kendrick and Mrs. Price. 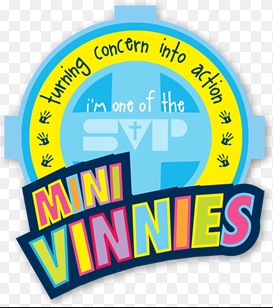 The mini Vinnies work very hard to plan and organise various charity events across the year both in school and in St Patrick's Church. The team has members from all classes and are a dedicated and enthusiastic bunch. 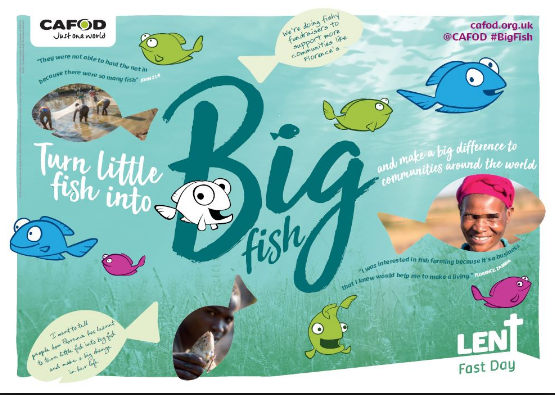 Our current CAFOD campaign for Lent is 'Turning Little Fish into Big Fish'. 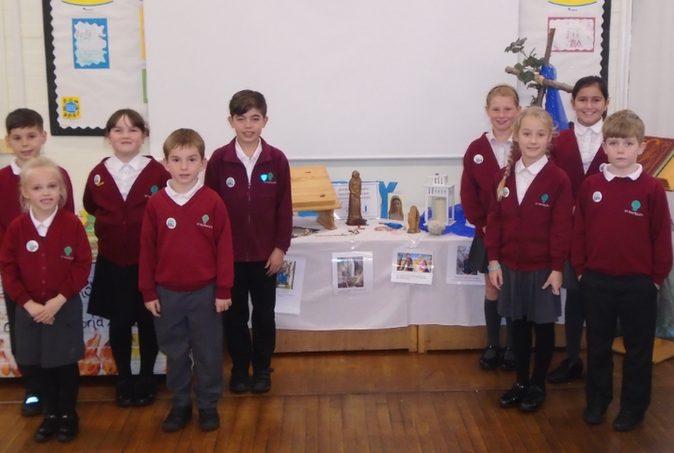 The Mini Vinnies have launched the fundraising appeal with an assembly and have helped to collect money and display the beautiful fish created by the children.